The 82nd Aerial Targets Squadron detachment at Holloman Air Force Base is the last remaining US unit to operate the McDonnell Douglas F-4 Phantom II. Erik Roelofs spent time with the 82 ATRS to see the last American Phantoms in service. 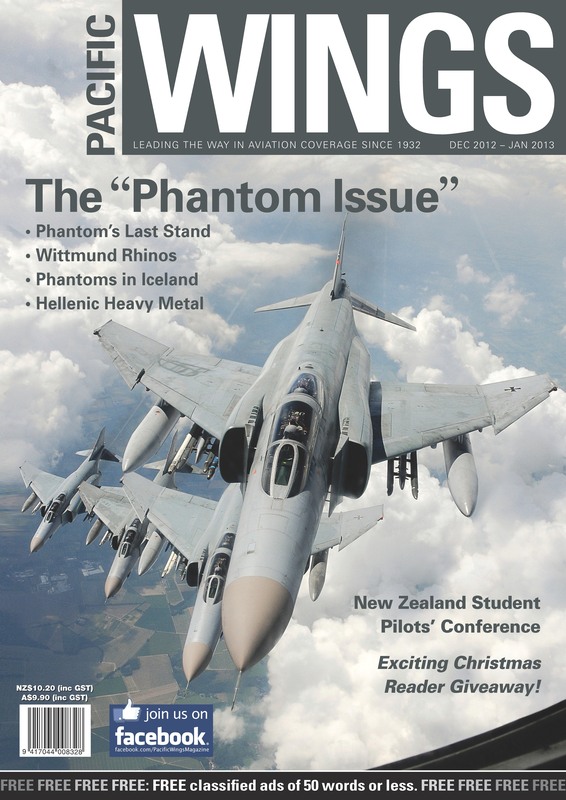 Peter Cooper visited the Luftwaffe’s famed JG71 “Richthofen” Wing, which still operates the F-4F Phantom II. Lucy Funaki of the Student Association of the Nelson-Marlborough Institute of Technology Inc (SANITI) reports on the ninth annual student pilot conference held in Nelson recently. NZALPA’s president, Grant Kenny, highlights NZALPA’s serious concerns about the criminal use of lasers to target aircraft in flight and describes what NZALPA is doing about it. Paul Sortehaug continues his series of articles on New Zealand’s air aces with the story of Major Keith Logan Caldwell: CBE, MC, DFC and Bar, ED, MiD and CdeG (Belg).